A wonderful evening of music and atmosphere. More than 180 people enjoyed the 4 choirs. From songs in 't Mestreechs and other languages from Cantate tot spiritual songs and the whole audience singing along with LAUS. From the amazingly high level of a capella art from Harding University Chorus to the fun, modern numbers of Vocal Group Odeon. An evening to remember! Choral classics, new works, spirituals, opera, folk songs, contemporary christian songs—Harding Chorus uncovers all the regions of the choral art with style and enthusiasm. They have often performed with the Arkansas Symphony Orchestra (ASO) in the Masterworks Series. In March 2014 they presented Verdi's Requiem, and sang the Duitse Requiem of Brahms together with the ASO in February 2016. The group has performed in 37 lands in locales in Brisbane, Australia; Beijing, China; Corby, England; University Church in Oxford, England; the Stiftskirche in Aschaffenburg, Germany; the Palazzo Vecchio in Florence, Italy; Warsaw, Poland; the Beloselsksy-Belozersky Palace in St. Petersburg, Russia; and the Palazzo del Toscano in Catania, Sicily. In all of their concerts they bring a message of musical excellence and spiritual devotion. In May and June 2010 the group performed in Rio de Janeiro, Buenos Aires, Viña del Mar, and Santiago. In 2012 they performed in Eastern Europe, and in May and June 2014 zthey sang in Italy, France, Switzerland, Slovakia, and Croatia. In 2017 it's the turn for Germany, Netherlands and Scotland. An exciting group which brings a capella arrangements brengt in a flashy program. Especially known for their theater concerts, Odeon brings a capella song of a high level and joyful note. LAUS (which means 'praise') is a varying group of Christians who love bringing the beauty of Jesus out in song. They come from various cities in Nederland and Flanders. Their simple a capella song leaves space to bring the necessary attention to the text. 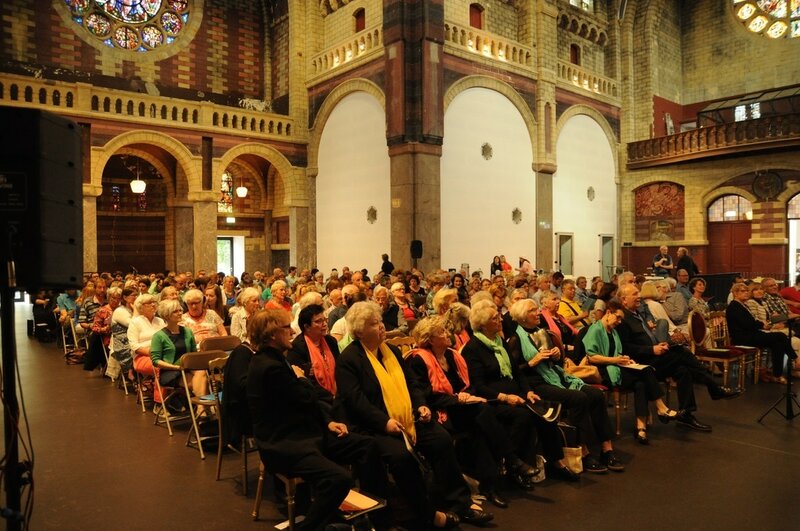 Mixed Choir Cantare is a choir of about 20 members, which mostly sings for nursing homes in and around Maastricht. They sing in French, Spanish, German, Italian, Russian, Afrikaan and Mestreechs. The sing to offert heir audience the joy of song and enjoy song themselves in any language.